Integrated SocioPsychology draws upon the Gravesian approach, NLP models such as Neurological Levels and Meta-States, so-called academic or ‘conventional’ Psychology models such as Dimensions of Temperament and Reciprocal Determinism, and much thought in the sociological schools of Symbolic Interactionism and Functionalism – all applied through the lens of 4Q/8L – to explain why people think and, therefore, behave, in different ways at different times and in different contexts. The capacity to incorporate the ‘cutting edge’ is illustrated by the inclusion of Epigenetics on several courses. In keeping with the ethos of NLP, Integrated SocioPsychology training aims to make the material as accessible and as practical to use as possible. Thus, there is a strong emphasis on ‘real life’ applications, with a variety of tools and techniques demonstrated, including elements of Cognitive Behavioural Therapy (CBT) concepts, as well as NLP. With the knowledge, understanding and skills gained from training in Integrated SocioPsychology, participants have found they have been able to map out far more effective strategies for getting the most out of relationships – with colleagues, clients, customers, partners, children – whoever! At the same time the material is robust and grounded in verifiable science. The courses contain varying levels of scientific depth and detail which visitors should bear in mind when deciding which course would be suitable for their needs and wants. All ‘open’ courses can be customised for in-house delivery. 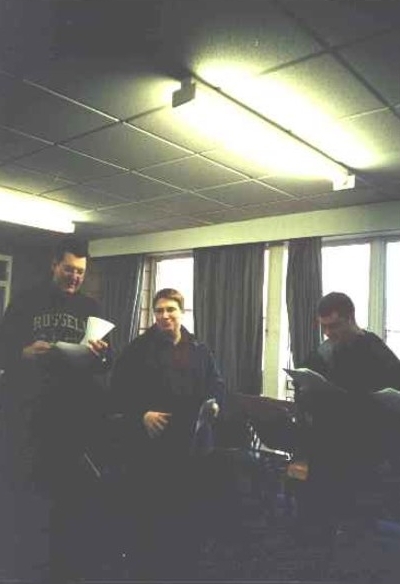 The very first open programme, in February 2001, was sponsored by St Mary’s College in Hull, following a half-day introductory session the previous November. Programmes since have been delivered both under my own name and in partnership with others such as Summit Consulting, Cobus Business Services and David Burnby & Associates. 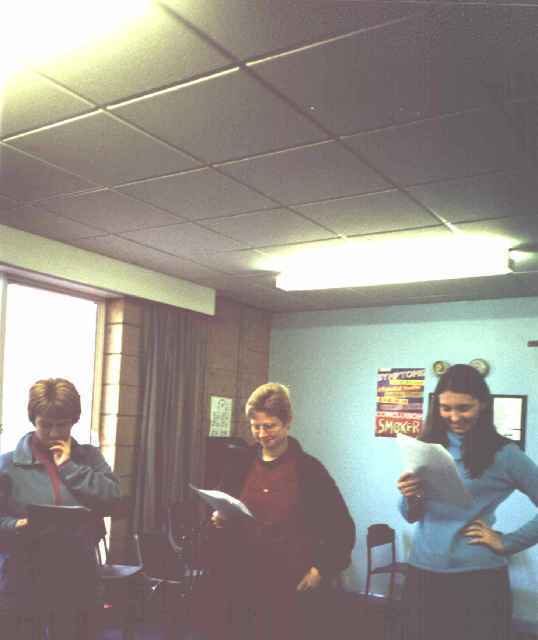 A programme in Peterborough in late 2004 was sponsored by an ad hoc consortium of NLP Practitioners and Master Practitioners. A basic introduction to Integrated SocioPsychology comprised a module of North East Lincolnshire Council’s ‘nnovation Engine programme for businesses. This followed earlier short sessions for the Council’s Innovation Circle on Spiral Dynamics & Adizes Organisation LifeCycle and Spiral Dynamics & Leadership. In-house programmes have been delivered to organisations as diverse as Hodgson Sealants Ltd, Hull’s Preston Road New Deal for Communities project, the Garths Resource Centre (also in Hull), the North Lincolnshire Council Community Investment Team, South Humber Young Enterprise, Hull City Council Regeneration Services, Yorkshire Accord and the Hull Optimists charitable club for disabled swimmers. The sheer scope of Integrated SocioPsychology, combined with its cohesive core structure, allows an incredible range of flexibility in developing programmes to meet the needs and objectives of the participants. For Education Professionals…, an open programme in June 2007, directed the material towards learning and the issues children and staff face in schools. The weekend session for the Hull Optimists included a light-hearted look at body language and had a focus on dealing with fear and other unhelpful beliefs (maladaptive schemas). Sessions for Wakefield College Services to Business and the Chartered Institute of Personnel & Development West Yorkshire both put the emphasis squarely on developing an Integrated SocioPsychology approach to onflict management. Some of the core elements of the Integrated SocioPsychology workshops have been incorporated as key elements into the Psychology – An Introduction: Understanding Yourself & Others‘night school’ course I have run for Rossett School Extended Schools programme in Harrogate since January 2011. This has spun off a series of ‘intermediate’ courses dubbed ‘Psychology Topics’, tackling topic areas as diverse as prejudice & discrimination, mental illness, romantic relationships (always very popular! ), memory and crime from an Integrated SocioPsychology perspective. The success of the Rossett workshops led to me agreeing to run both the Introduction and Topics programmes for Shipley College from September 2014. The Shipley courses have proved just as popular as the Harrogate ones. Obviously the aims of the programmes vary according to whether they are open or in house and who the target audience is. However, they all enable participants to start applying the theories and models in practical, real-life situations – as well as providing a solid foundation for further study. 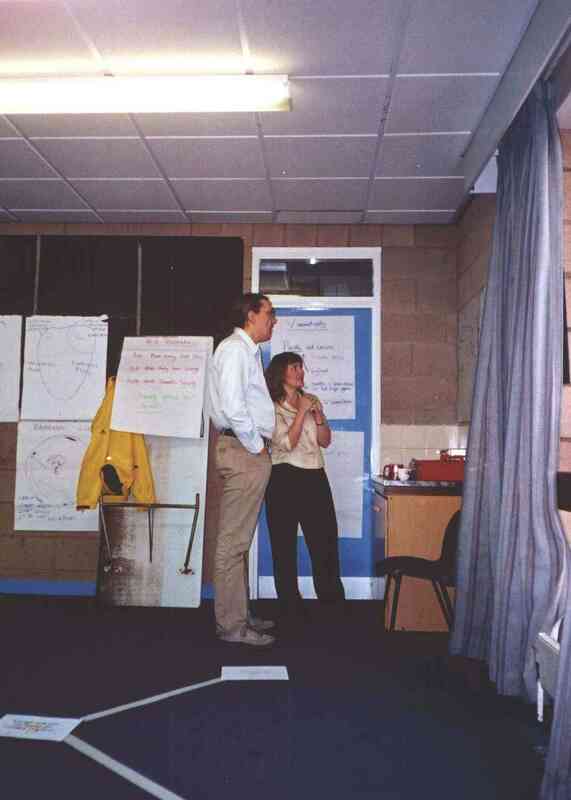 As both a qualified teacher and an NLP Master Practitioner, I recognise the importance of engaging the workshop participant as fully as possible by using a multi-sensory approach and by making the content as relevant as possible. 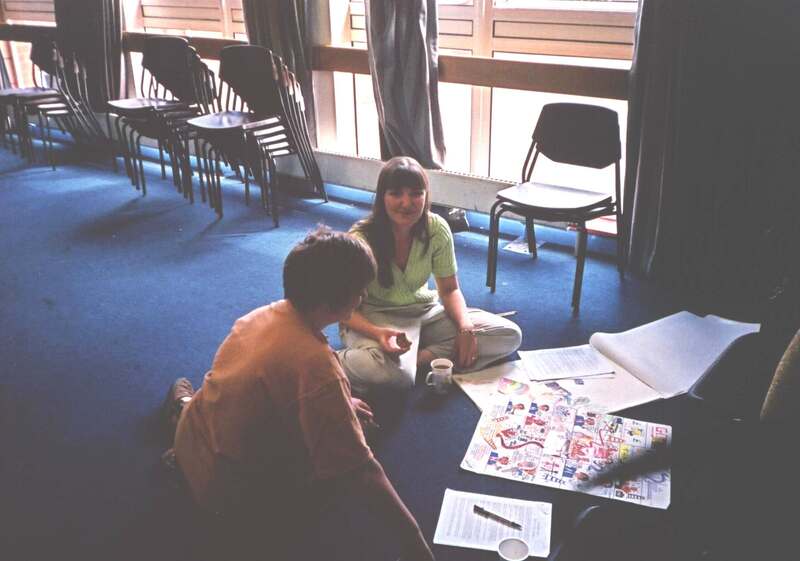 The workshops include highly-colourful materials, photographic illustrations, music, stories, humorous role plays, case studies, games and interactive exercises – sometimes even ‘Walking the Spiral’! Participants are usually encouraged to bring a ‘people issue’ to the programme, to work through and thus be able to link the learning to ‘real-life’ scenarios. To be certificated, all participants have to make a brief presentation on how they will make use of the learning. The Integrated SocioPsychology workshops are not just about academic theory – though, on many of them, there is plenty of that!! Participants leave the programmes with knowledge and practical sociopsychological ‘tools’ they can use in real life. Organisations have become more effective at what they do, teams have worked together more harmoniously and personal relationships have been saved as a result of applying the learning from these programmes. Some participants have found the experiences deeply challenging on a personal level; and several have made life-changing decisions as a result – including changing jobs, going self-employed, moving on from seriously-unhealthy relationships in which they had become trapped and finding the freedom and the belief in themselves to do things they never thought they would be able to do. In the instance of Lewis Lynch, a disillusioned teacher at St Mary’s College, Hull, he found the programme gave him new perspectives on Education – which led to him staying in the profession! Check Courses for information on upcoming open programmes. To discuss your needs and/or to arrange a programme (in-house or open), please get in touch via the details on the Contact page. To view more photos from previous workshops and comments from participants, visit the Learner Perspectives pages.